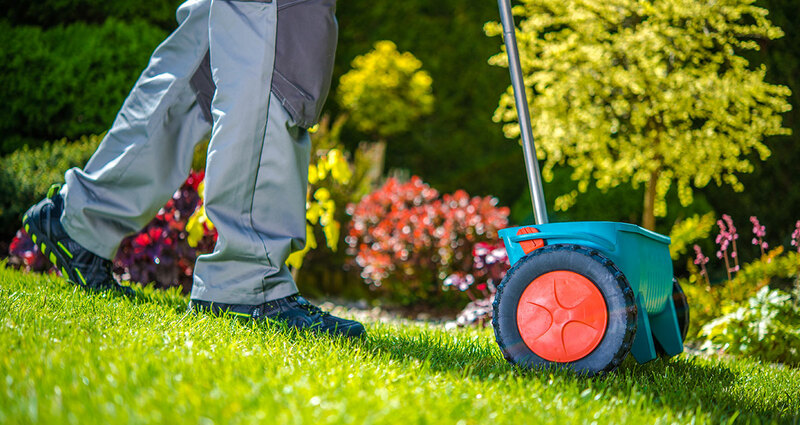 Thinking of Over-Seeding Your Lawn This Spring? First of all, know that over-seeding is always a good idea. When combined with aeration the results are typically outstanding. However, there are a few things you should know that will be critical to having success. For this reading, I will assume you are a homeowner and live in Northwest Indiana where cool-season grasses prevail. The most common cool season turf grasses in Indiana are Kentucky Bluegrass and Perennial Ryegrass. When over-seeding, you will ideally want a blend of 60% Kentucky Blue and 40% Perennial Rye. A 50% 50% Blend is also acceptable. Here’s the most important consideration and detail. Cool-Season grasses actively grow in the late spring and early fall. For over-seeding In the Spring, temperatures should be in the 68-77 degree range for optimal results and germination. Perennial Rye will typically germinate in a few weeks and Kentucky Blue usually takes 3 to 4 weeks. Timing is everything for great results. Plan ahead. Watch the temperatures. Hire a professional.